It is doubtful, even in the reified levels of psych music fans, that Keita Ise and Njål Clementsen are two names that easily trip off the tongue. 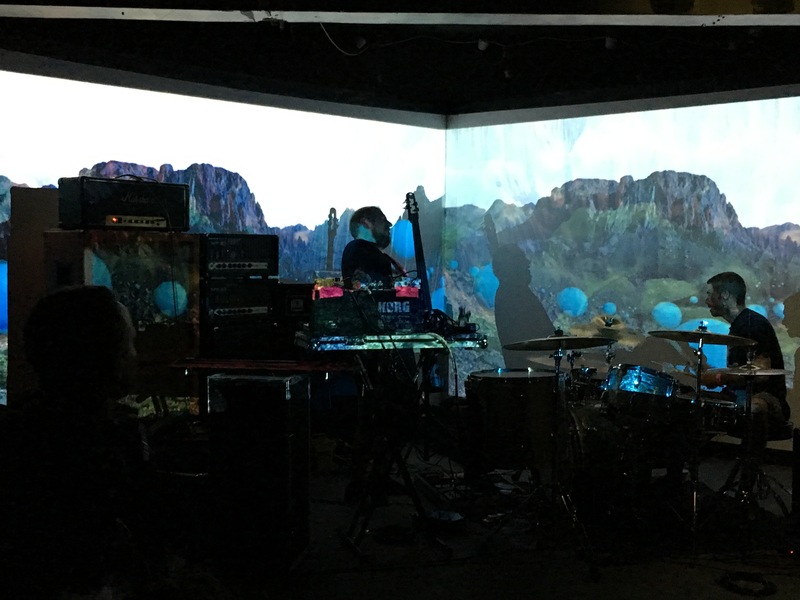 Yet trip is exactly what these two guys sent me on at the latest instalment of the Liverpool International Festival of Psychedelia, now in its fifth year, held in the city’s Baltic Triangle district on 23/24 September. Minami Deutsch. Photo courtesy of the LPF Facebook page. The fact that Keita Ise and Njål Clementsen are both bass players with two of the best bands that I saw at this years festival, Minami Deutsch and Electric Eye respectively, perhaps says something about the nature of this event. For me both men epitomise the PsychFest, travelling great distances (Tokyo and Oslo) to play for an appreciative audience many of whom have also travelled a long way to be there. I’ll admit that I had my reservations about this year’s event and at one stage was really wondering about coming. The bands that were headlining, although good in their own right, were not a draw for me. Nevertheless as I began to work down the list a familiar feeling started to emerge: that mix of bands I love and have seen live before, bands I’ve been wanting to see for a while and bands I’ve never come across before. Starting with the first category these were few and far between, hence my initial apprehension. Kikagaku Moyo headlined the Guruguru Brain showcase on day 1 and gave an amazing performance as they always seem to. It wasn’t quite as intense as when I’d seen them in Manchester earlier this year (probably my gig of 2016) but that was never going to be the case in a less intimate environment; but is was great to see them with their sitar player again this time. The same went for 10000 Russos who were great, but didn’t go as brilliantly ‘off piste’ as when I saw them last year (again one of my gigs of the year)…festival sets are usually more conservative. The Oscillation closed the festival for me (I was fit to drop by 2.15 on Day 2 having seen 23 sets in the process) and were perfectly scheduled with that great mixture of throbbing bass lines, soaring guitar and keyboards and melancholic vocals. It was great to end on something familiar. The other band that I saw that I had seen before were the Big Naturals, who played the new PZYK PRYZM area. This for me was an absolute triumph. The area itself is a great space, with Gareth and Jesse just blowing us away with their ferocious playing in from of a high definition backdrop. Now back to Keita Ise and Njål Clementsen. Minami Deutsch and Electric Eye are both bands that have been on my radar for a while. The former’s debut album (see original review here) has been a regular visitor to my turntable over the past two years, and made our ‘Essential Psych albums’ list in 2015; while Electric Eye have recently knocked me out with their ‘Live in Blå’ album. I have to say that both bands just captivated me at the event and, unusually for me, in both cases it was the sheer power and dexterity of the bass that took the performances to another level for me (without wishing to take anything away from the other members of these bands). Minami Deutsch’s ‘krautrock’ excursions were beyond amazing, while Electric Eye got into the sort of groove that just makes you melt and move. Two very different bands from two very different parts of the the world, both perfect examples of why this festival was great again this year. Electric Eye were on one of the two small stages this year, and that was where the action was for me (I never even stepped foot in the largest ‘Furnace’ stage at all). On day one the Flavor Crystals were high on my list to see, having been recently smitten with the band’s two most recent albums ‘The Shiver of the Flavor Crystals’ and ‘Three’. I really enjoyed the Minnesota group’s set which was a relatively calm oasis from the ‘sturm und drang’ that I had otherwise been subjecting myself to. Saturday evening saw a succession of bands who have been on my ‘to do’ list for a while. This was the core part of the festival for me as I saw set after set of amazing performances. In Zaire represent the longest on that list and they produced an absolutely terrific performance on the smallest Blade Factory stage, much more upbeat and raw than on their amazing ‘White Sun Black Sun’ album. The same could be said for ‘Has A Shadow’ to the extent that I was not sure whether I was in the right room to start with (they also started early to confound my expectations). I thought their more stripped-down live approach was brilliant. Flowers Must Die were absolutely exceptional on the small District stage delivering probably the most ‘evolving’ performance of improvised music of the two days. Beginning with a jazz infused cacophony and gradually building the intensity to an amazing high tempo repetitive conclusion, they absolutely smashed it on the District stage. Pop. 1280, also on the District stage, were not what I was particularly expecting. Having seeing their label-mates Destruction Unit at last year’s event I was expecting a more introvert performance than the animated, and at times ironic, display; especially from front-man Chris Bug. 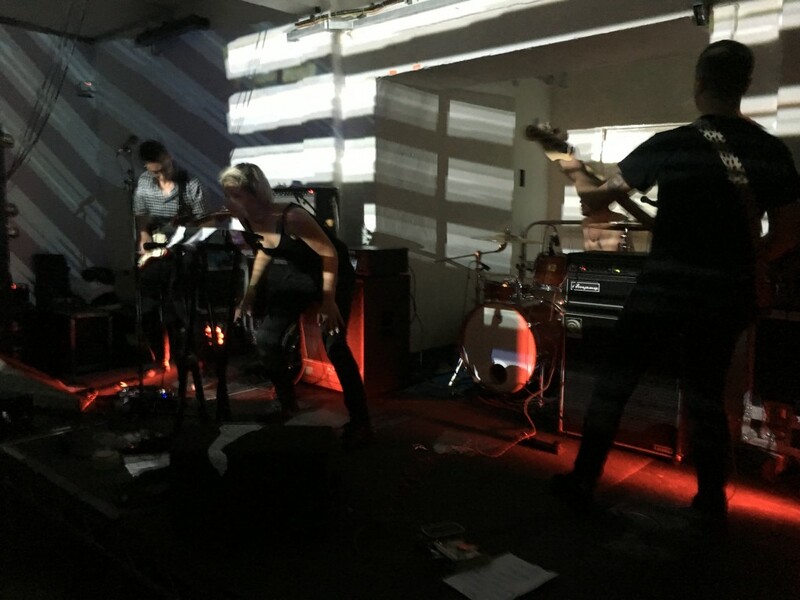 Their mix of new/ no wave, punk noise, 80s electronica and various ‘cores’ felt even more oppressive at the late evening slot…thus accentuating the bleak elements of their music, especially on my tired brain. A rare sortie into the bigger Camp stage allowed me to see Chile’s La Hell Gang from Santigo’s great psych scene. I really enjoyed the band’s subtle guitar-based psych and repeating melodies, even standing at the back I really lost myself in the performance. 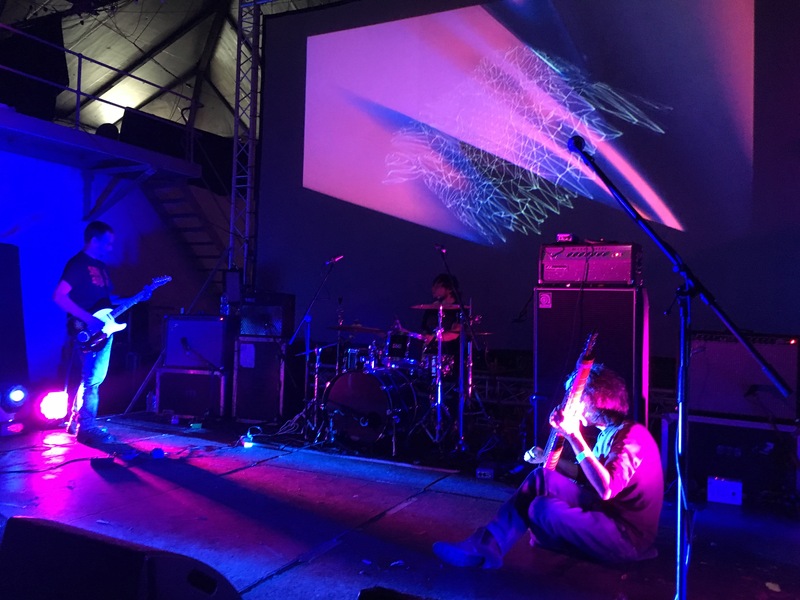 Returning to the Camp later I also saw Cavern of Anti-Matter and, although tired really dug their deep electric grooves, mainly taken from this year’s ‘Void Beats/ ‘Invocation Trex’ double. 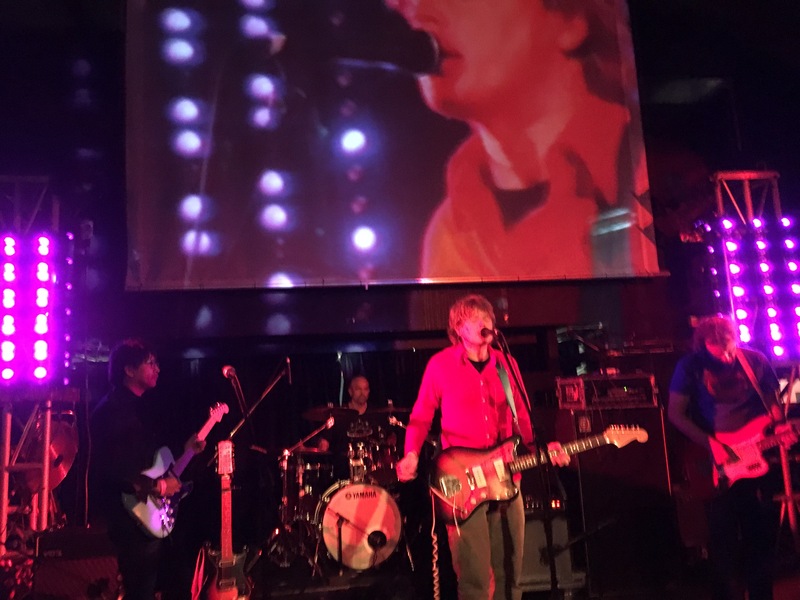 I had not seen former Stereolab member, Tim Gane, before and was impressed with the set and how it got the crowd moving so deep into the evening. Earlier on in the evening Wooden Indian Burial Ground really got me going on the Blade Factory stage. Rarely have I seen a band launch into a set with quite so much immediacy and intensity. Ten seconds in an it was like they’d been playing for ages, and it was no surprise that guitarist Justin Fowler broke a string on the first track. It was a brilliant performance of surf/ garage rock, the highlight of which for me was the ‘freak out’ section on ‘Burnout Beach’…what a ride. It was a garage band who had kicked off the second day for me. Despite the early start Brain Washington managed to tear up the Blade Stage and really get the party started. If you’ve not heard their total brain melter ‘LSD’ check out one of my recent ‘PsychFest’ playlists here. This started a run of bands who I’d hadn’t heard of before they appeared on the PsychFest bill. Next up was Saddar Bazaar, whose performance I caught the last few tracks of. The sound of their sitar-infused music was a blissful come down after the all out force of Brain Washington. I wish I’d heard more, and found myself really digging their album ‘The Conference of the Birds’ the next day, perfect for post-festival chilling. I then repeated the process somewhat, first by witnessing a really intense set from Taman Shud. Dark, brooding, apocalyptic and heavy were all words that came to mind a this band ripped through an intense set that took no prisoners and left me in a state of frayed nervousness as I sought to come back from the edge of the musical abyss that the band took me too. Fortunately next up was Yeti Lane, a band I’d only really started listening to the week before. I was intrigued by their most recent album ‘L’aurore’, mainly because it seems to combine the sum of its different part so well. What I mean is that I if think about the sort of music that makes up Yeti Lane’s sound, especially elements of shoegaze, it is not my usual thing but it is somehow put together so well that It has really grabbed me. Anyway live the band provided the perfect balm on the scars that Taman Shud had inflicted and I left the Camp stage feeling somewhat uplifted. That leaves me with three bands I saw on the first afternoon at this year’s PsychFest. Prairie WWWW, part of the Guruguru Brain stage, were a great band to start with because they epitomised from the offset everything that is great about this festival. I had only really started listening to them because they were on here, and I thoroughly enjoyed their highly stylised performance that brought in experimental elements that were influenced by local folk music of their native Taipei. This, together with strands prog-/ ‘kraut’-/ psych-rock that were woven together into an eclectic set, was in turn challenging, inspiring, groovy, heavy and meditative. The same could be said for two of the bands that I saw as part of the Fête Souterraine stage. Aquagascallo played a wonderfully rich mixture of Gallic grooves and distorted beats, while France (in what I believe was their first performance outside of their home country) played a utterly mesmerising half hour track that really could have continued for a couple more hours as far as I was concerned, apparently the band often do play this long. A trio of drummer, guitarist and hardy gurdy player they develop a groove/ drone and just play it in a totally organic way leaving the listener to explore and interpret the simple yet beguiling music in their own way, to find their own way through the sound…it was a stunning experience. 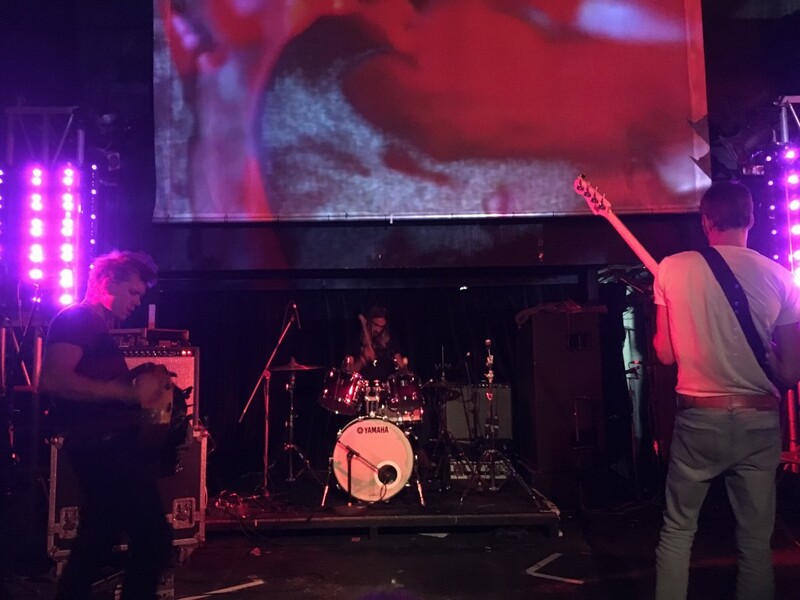 And there is the Liverpool PsychFest for me in a nutshell, a self-exploration of music presented without prescription, other that it is up to the listener what to make of it and interpret it accordingly. Many, I think, feared that this was the year that the event would ‘jump the shark’; and there was quite a bit of grumbling beforehand about how it was becoming ‘just like another festival’. It some ways it is as the rough edges are removed from it year on year. For me, though, the organisers got the creative element of the event right. The bands that I saw were all fantastic, there was less evidence of technical issues (although I believe Super Furry Animals had a few), the visuals were better than ever, and the atmosphere was as friendly and easygoing as I remember it. So while I remember the performances of two bass players, Keita Ise and Njål Clementsen, in particular, I came away with a renewed appreciation of the many musicians who put in countless hours of practice to share their art with us for little financial reward; and a renewed appreciation of the need for events like the Liverpool PsychFest for bring these bands together in one place. It helps establish and sustain communities that continue on line, you just need to come with an open mind. 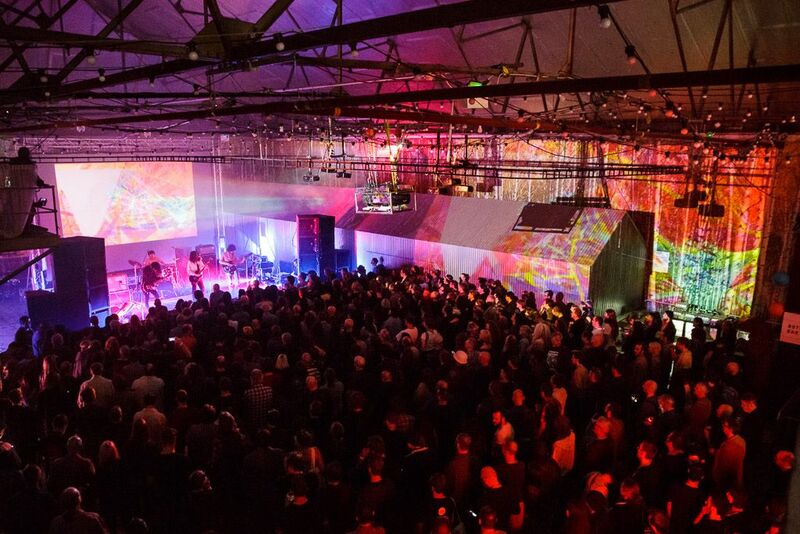 The Liverpool International Festival of Psychedelia isn’t perfect, and I imagine it will continue to struggle find the right bands to put at the top of the bill. Nevertheless I am sure that there are plenty of other great bands around the world who would relish an opportunity to play there. For me it is these bands who are what makes this a great event, and it is these bands that enable me to curate my own festival timeline that was eclectic, interesting, challenging, strange, uplifting, inspiring and utterly exhausting. This year there was once again that perfect mix of the familiar and the unknown for me, I’m already longing for the next instalment and already anticipating the new bands and people I’ll meet then.